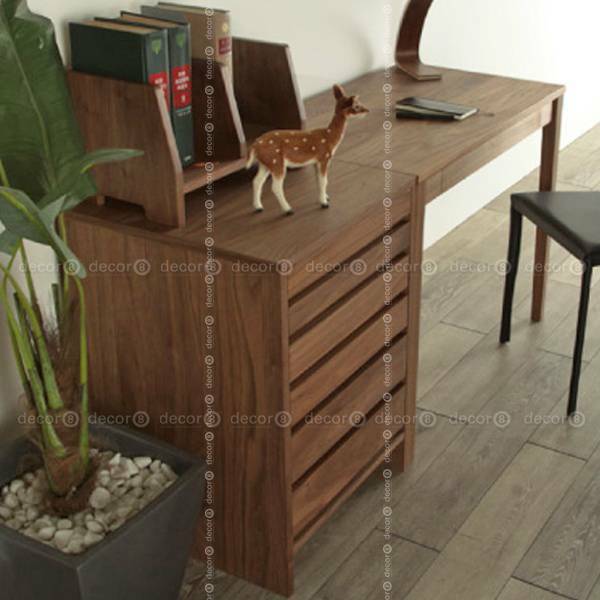 The Decor8 Irving Solid Wood Work Desk with 7 Drawers in Walnut Finish is a marvellously constructed office table, which provides ample storage compared with other desks in our collection of work desks. This office desk is manufactured with high quality solid oak wood imported directly from the far reaches of northern America. 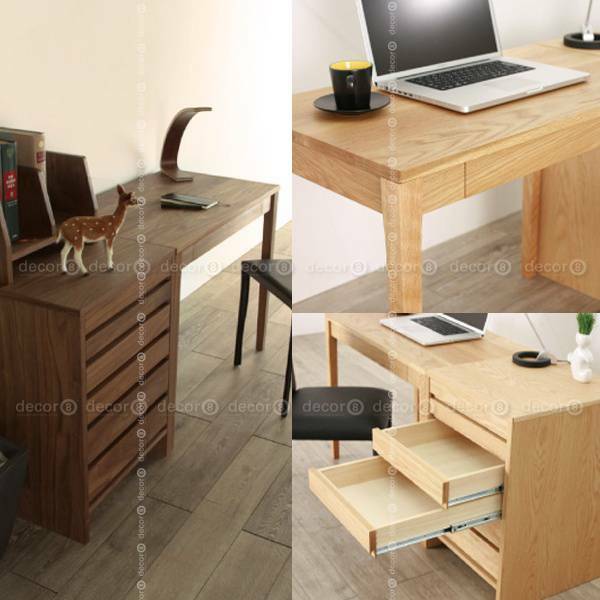 This work desk is built to last with fine solid oak materials used to make it, it is no wonder why you’ll have a sturdy desk for many years to come. Perfect for both small home offices or creative offices. 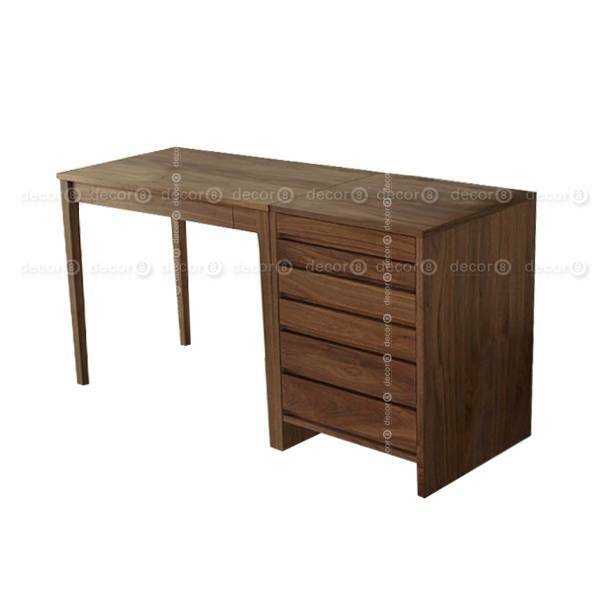 It features six equally width drawers to the right of the desk and one storage drawer beneath the desk table top. The size of the drawers gets larger in height from top to bottom with the bottom drawer being the largest. This allows you to easily organise and arrange your items in the way that you desire. Each drawer is mounted into the desk with smooth metal glides. This office table also has a smooth top surface for you to place items for display or a place to set your books down away from your working area or showcase your favorite task lamp. 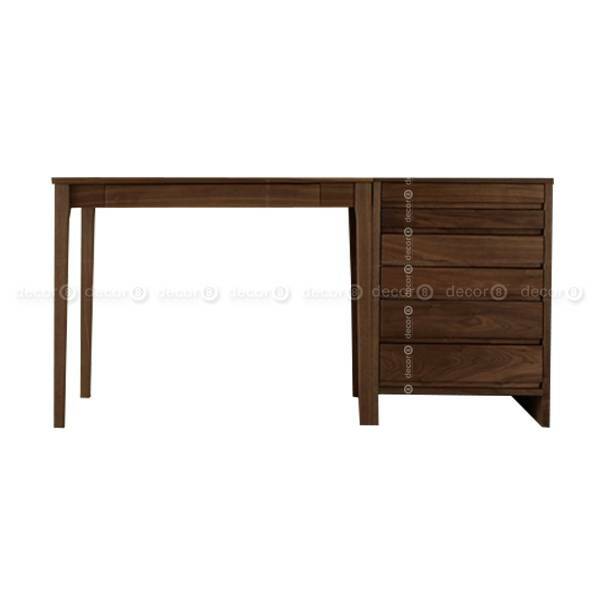 The Decor8 Irving Solid Wood Work Desk is available in two wood finishes. A rich painted walnut finish as seen here in the photos above would make a perfect addition for any dark themed room or perhaps a room with many different wooden pieces. While the natural oak finish would be more welcome in a light themed room or home office. This solid wood work desk fits into many different areas where a desk is needed including teenager rooms or your home library or home office. A work desk like this looks great with the Deere Solid Wood Chair or the Dsw Style Upholstered Chair. Here are other chairs from our collection that you maybe interested in pairing with this desk: Visit Decor8 Desk Chairs. -- Please Select --Yes, I need installation service for this item. +HK$200.00No, I will install this item myself. 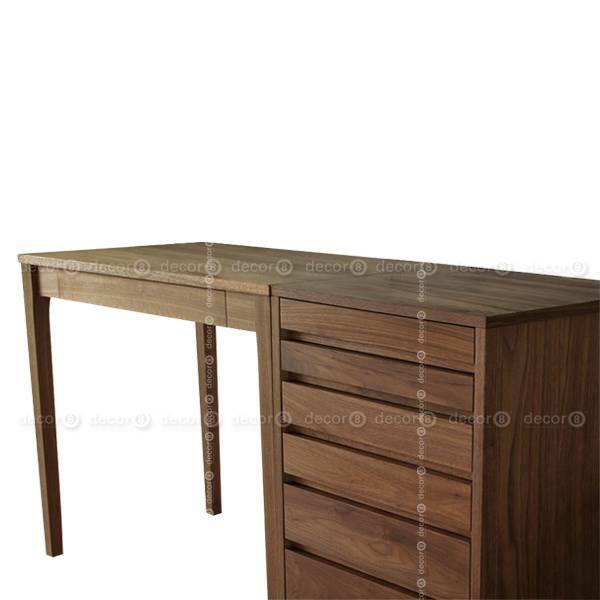 Note this is a desk & cabinet set that comes as two pieces; the cabinet can be placed on the right or left hand side.